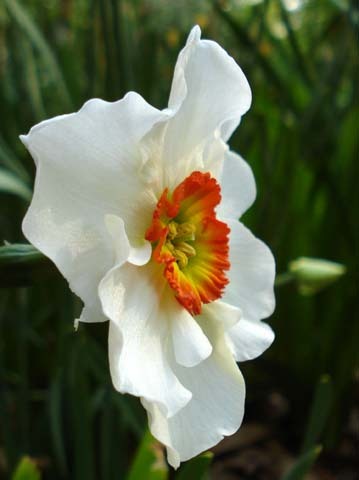 This page contains pictures and information about Narcissus classified under Division 9: Poeticus Daffodils. 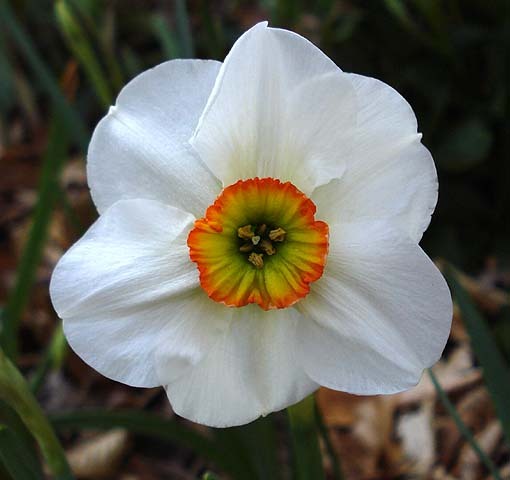 Narcissus in this division have obvious characteristics inherited from N. poeticus in their ancestry. The flowers, one to a stem, have pure white perianth segments (petals), a disc-shaped, red-rimmed, yellow corona (cup), and a spicy fragrance. 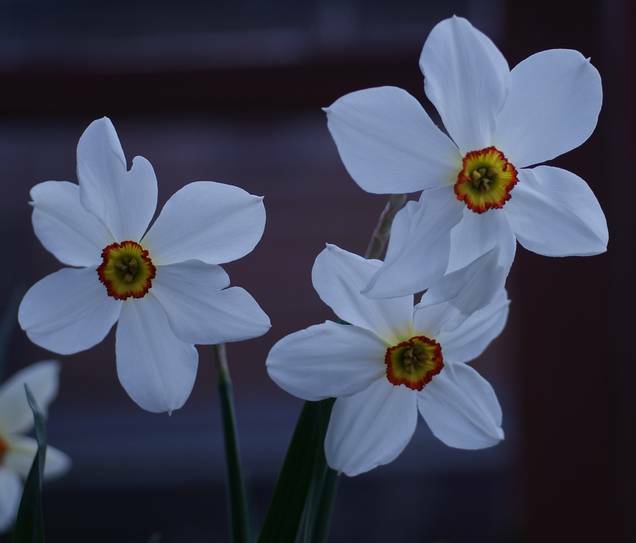 Narcissus 'Actaea' is a late to mid-season bloomer. First photo taken April 2008 by Jay Yourch, second by David Pilling. 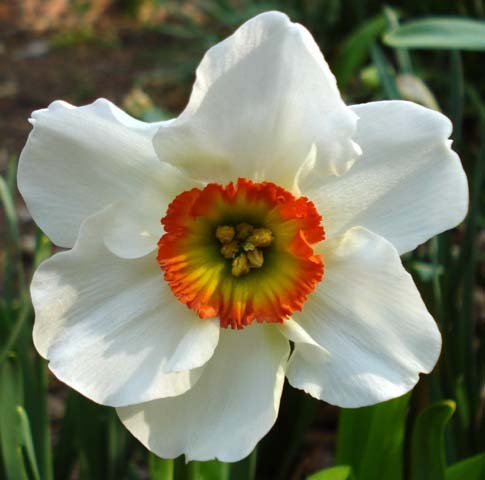 Narcissus 'Angel Eyes' is a late bloomer. Photo taken April 2008 by Jay Yourch. 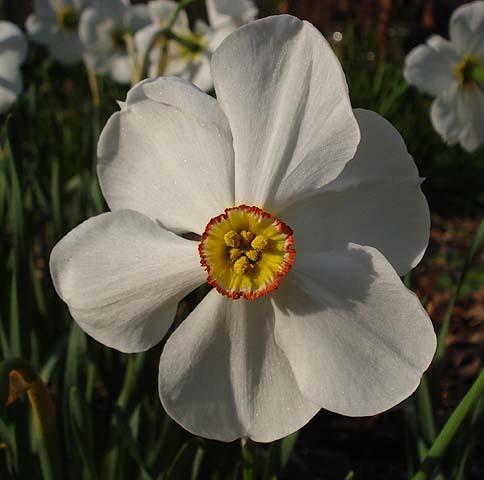 Narcissus 'Felindre' is a late blooming poeticus. Photos taken April 2007 by Jay Yourch.